DC Rail 56312 leads 60163 'Tornado' at Northway, Ashchurch powering the 5Z63 York National Railway Museum to Bishops Lydeard on the West Somerset Railway on the 29th September 2015. 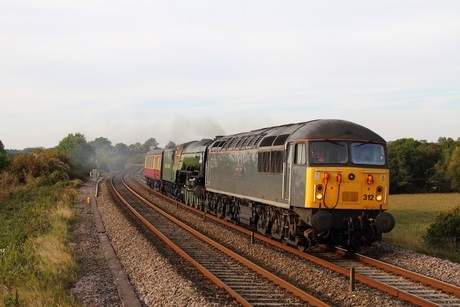 DC Rail 56312 leads 60163 'Tornado' at Charfield powering the 5Z63 York National Railway Museum to Bishops Lydeard on the West Somerset Railway on the 29th September 2015. 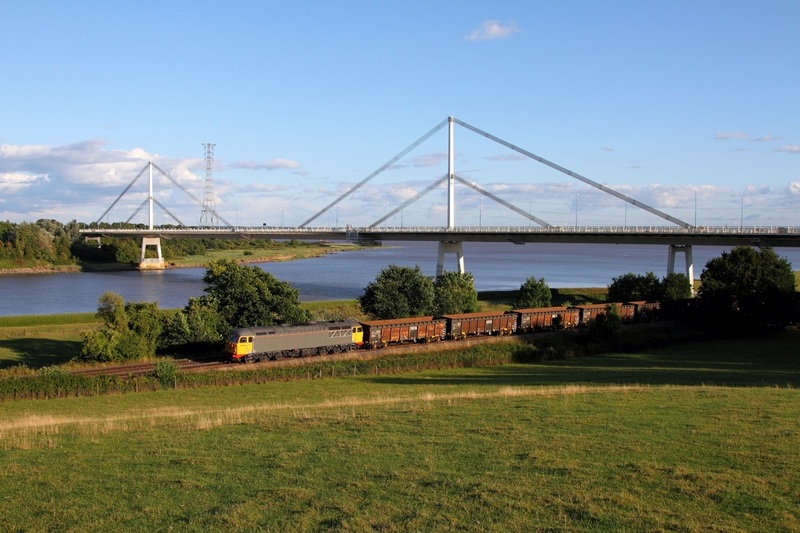 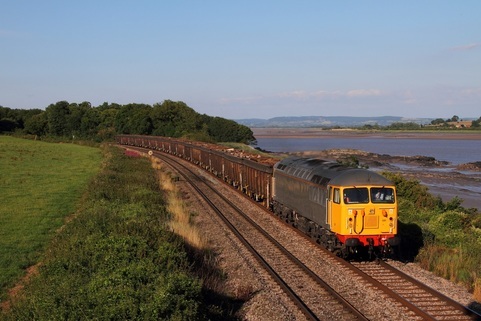 56081 powers through Purton on the 31st July 2015 hauling the 6Z35 Chaddesden sidings to Cardiff Tidal loaded scrap. 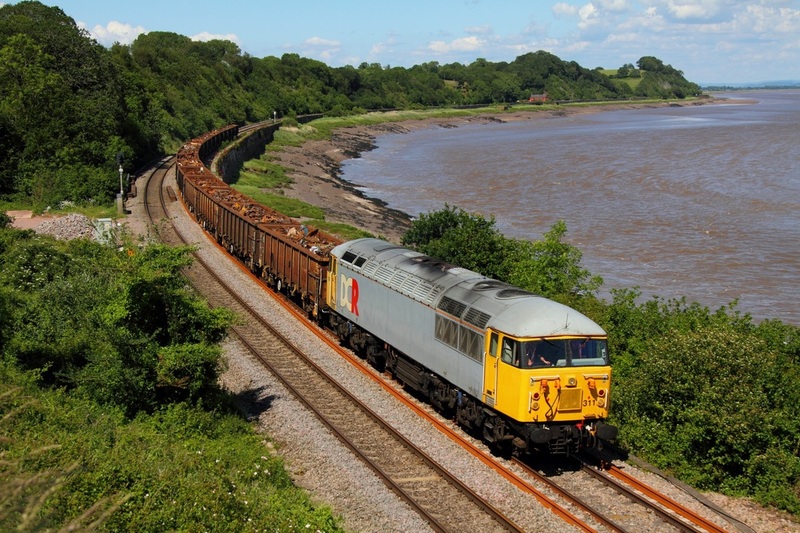 UK rail leasing's 56081 on hire to DCR powers 17 JRAs on 6Z34 1818 Tidal to Stockton at Thornwell, Chepstow on the 29th July 2015. 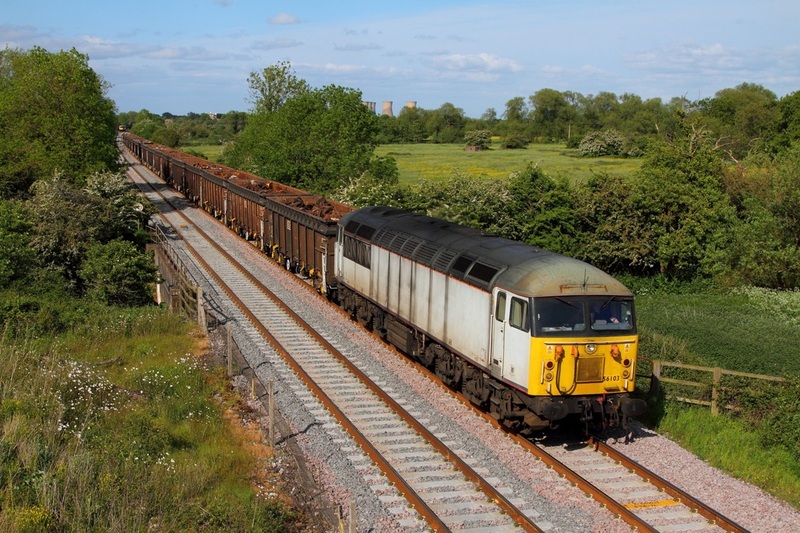 DC Rail's ex-fertis liveried 56103 storms through Claymills with the 6Z34 1145 Darlington to Cardiff Tidal loaded scrap on the 31st May 2015. 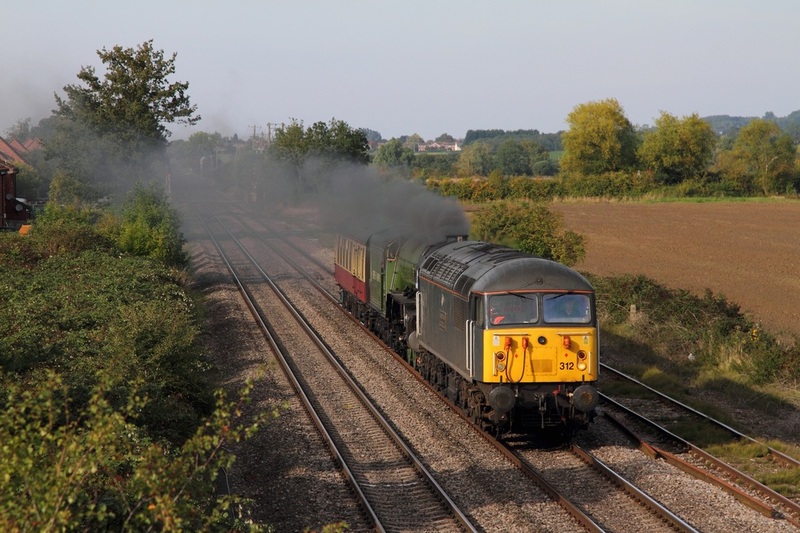 The grid failed yesterday with an AWS fault just short of Darlington whilst working the 6Z34 Stockton to Chaddesdon. 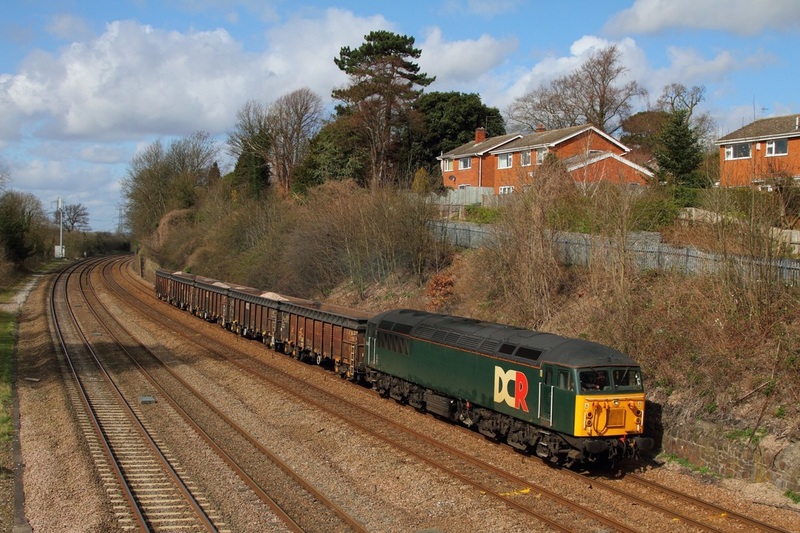 DCR 56303 hauls the 6Z56 Derby Chaddesden to Willesden at Barrow upon Soar on the 21st March 2014.